All Newark homes currently listed for sale in Newark as of 04/21/2019 are shown below. You can change the search criteria at any time by pressing the 'Change Search' button below. If you have any questions or you would like more information about any Newark homes for sale or other Newark real estate, please contact us and one of our knowledgeable Newark REALTORS® would be pleased to assist you. 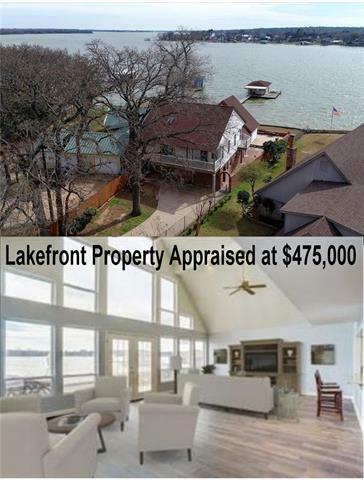 "OPEN WATER* PANORAMIC VIEWS ON MAIN BODY waterfront of Eagle Mountain Lake! *NEW roof 12-18, skylights 12-18, window screen 12-18, wood floors ,carpet, paint & updated kitchen*Convenient private boat dock w lift*Living room w high ceilings & wall of windows overlooking the lake. Loft flex room over living area w wall of windows overlooking the lake as well. Master has private fireplace & balcony with views of water. Secondary bedroom w private balconies and water views. 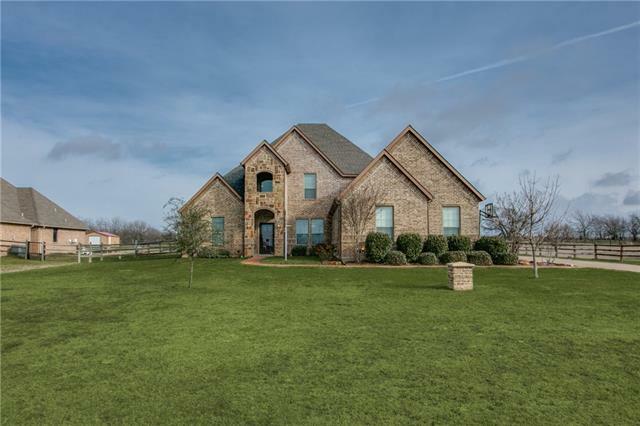 *3rd garage bay has kitche"
"Enjoy tranquil living in this georgeous custom home with 4 bedrooms, 3 baths, study and game room on 1 acre in Northwest ISD!!! Home has been meticulously maintained and owner pride shows throughout. The stunning entry offers a curved iron spindle staircase, beautiful archways, and crown molding. Entry, formal dining and kitchen have beautiful hardwood flooring and neutral colors. The kitchen is gorgeous with granite, large island, black appliances, and built in microwave. Master bedroom is"
"Charming estate nestled on almost 1.7 acres equipped with a beautiful pool, a barn and a tennis court. This is the ultimate entertainer home with lush landscaping surrounding the property and plenty of space inside and out. The home features a large living area with hardwood flooring and a stone fireplace, a spacious kitchen, and generous size bedrooms. The kitchen boasts granite countertops, custom white cabinets, a breakfast nook, and stainless steel appliances. 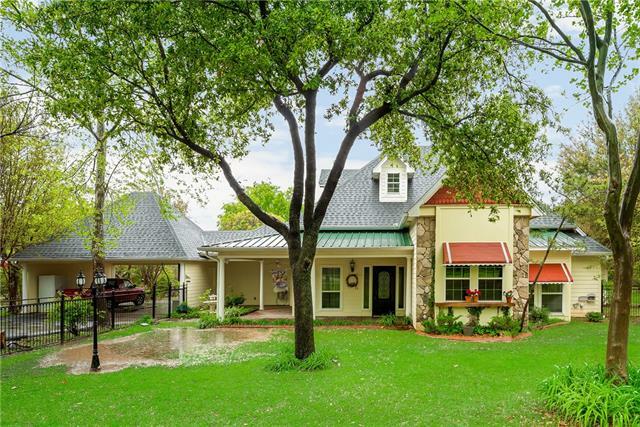 Enjoy the tranquil beauty outdo"
"Seller Motivated! Own a beautiful slice of country heaven. 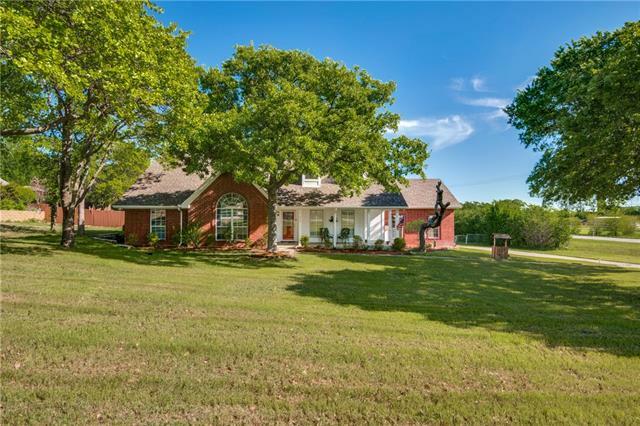 Custom built home on 1 acre and with dozens of Oak trees. 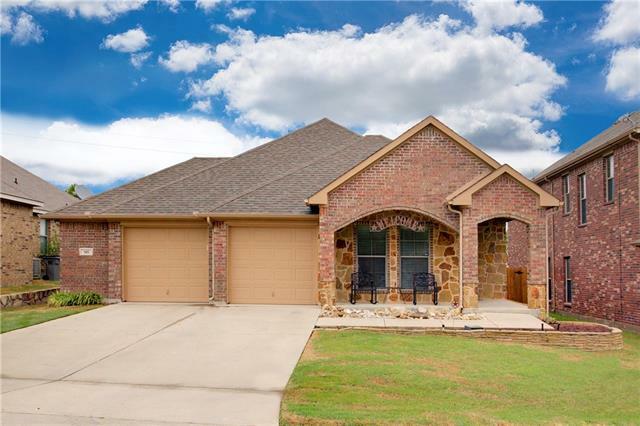 Main home is approximately 2800 square foot open floorplan with 3 bedrooms, 2.5 baths. The masters suite is downstairs and remaining bedrooms upstairs. 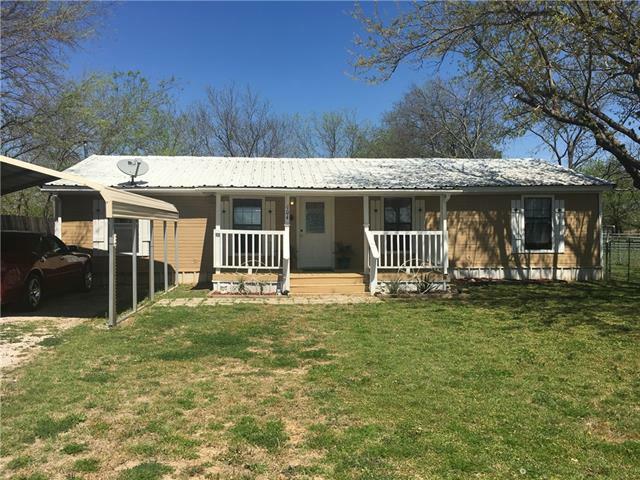 The property has a 1200 square foot detached, 3 car garage with a 900 square foot flex space above the garage complete with full bath and small kitchen area. 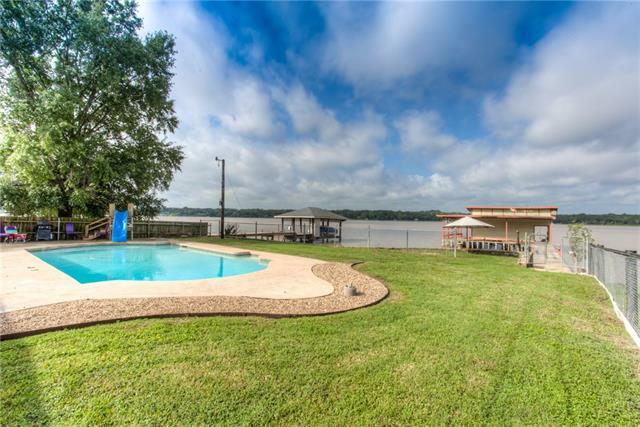 Flex space could be an inlaw suite, game room, exercise room, or even ren"
"Finally, a lake front home with privacy that even the pelicans, geese & waterfowl seem to agree as their favorite part of the lake. Less boat traffic with water depths plenty sufficient for boating, skiing, jet skiing & of course great fishing. This 2800 sq.ft. home has had an extensive remodel including rock and stone work you'd expect to see at the south end of the lake. Relax with a beverage at the swimming pool & drink in nature's outdoor aviary year round. Almost 1 acre lot, 2 workshop outb"
"GREAT LOCATION!! You CAN have it all! Country living and easy access to the city. Northwest ISD. 1 acre! BEAUTIFUL Trees and lush grass. 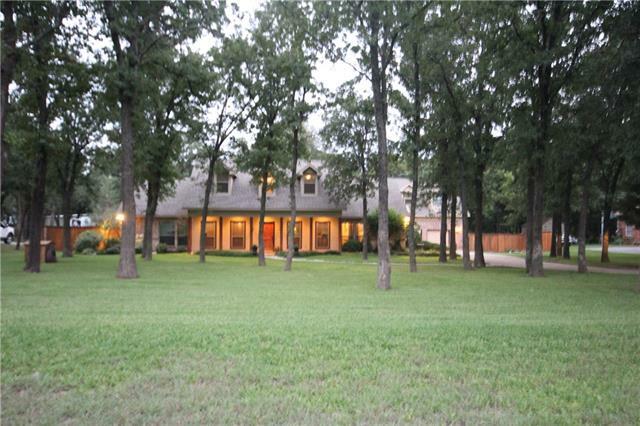 Located in the highly sought after Thousand Oaks Subdivision, just outside of the city limits. Extremely well maintained home features bay windows in Master & Dining area, large walk in pantry, closets, storage galore, crown molding, solarium, garden area & hot tub, large backyard, covered back patio for entertaining, water softener, well to water yard, new HVA"
"Immaculate home in quiet Chisholm Springs. Home offers open concept living and additional living space upstairs that is great for entertaining. The home backs up to no neighbors and the view is open and beautiful. Additional amenities include an office and a mud space off the back door; closet adjacent to the laundry. This home is a must see!" "Cute starter or down-sizing home on large lot. Huge private backyard with mancave and storage shed. Fully fenced with stockade and chain link. Mancave 12x22 with covered deck and room for grill. 20x12 storage building. Home has large living adjoined by a den and kitchen. Kitchen has five-burner gas range, double sinks, dishwasher and fridge. Half bath off large utility, perfect if you wanted to add a pool! Smooth textured ceilings, no popcorn, newer paint. Big covered decks on front and back of "